"We have no regrets! It really saves me time and effort. lawn maintenance is exactly what our business has been lacking." I am writing to say thank you for the considerable effort that your team put into sprucing up our garden prior to my daughter’s wedding. Everything was absolutely immaculate. Quite literally there was not a single blade of grass out of place. But as you know, despite your grand endeavours, the weather was not quite so kind to us. Luckily though, there was sufficient break (and mercifully a little sunshine) to get some delightful pictures taken in the rose garden; photographs our family will always treasure. So whilst I hope that our youngest daughter’s wedding is still a few years away yet, I would like to serve notice that in addition to the garden, we would like you to take complete control of the weather the next time round! Having asked you to perform another small miracle and transform our small(ish) side area into a picturesque outdoor venue to host our inaugural client awards ceremony you’ve come up trumps once more. The whole event proved to be a great success and I must tell you we received several comments on how beautiful the venue was especially the large tubs of flowers. I couldn’t let on that the whole garden was created just two weeks before! We can’t thank you enough for the way our garden has turned out. It’s absolutely fabulous. You may remember that our own ideas were patchy at best but you’ve managed to really bring them out to a level way beyond our imagination let alone expectation. Frankly we were a little nervous given the large scale of the landscape project but the stone terrace you’ve created is really beautiful and when seen against the colourful back drop of trees and shrubs, it really is truly stunning. Your team worked solidly come rain or shine and I was most impressed with their professionalism and tidiness. As you hinted it’s the hard landscaping team that do all the hard graft and then Belinda comes in at the last minute and steals the glory with her wonderful planting schemes. But what a finish, the garden has really come alive with her wonderful finishing touches. Fantastic! 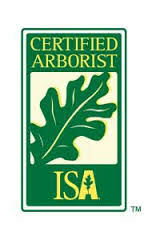 Arbor Wise Professional Tree Care is a tree service and landscaping company in St Petersburg, Florida. Specializing in both residential and commercial lawn care and serving primarily St Petersburg, Clearwater, Largo, Safety Harbor, Dunedin, Palm Harbor and Pinellas Park. How to Remove Your Tree Stumps from the Yard? What is the Difference between Trimming & Pruning Trees? Why Use a Professional Tree Removal Service?